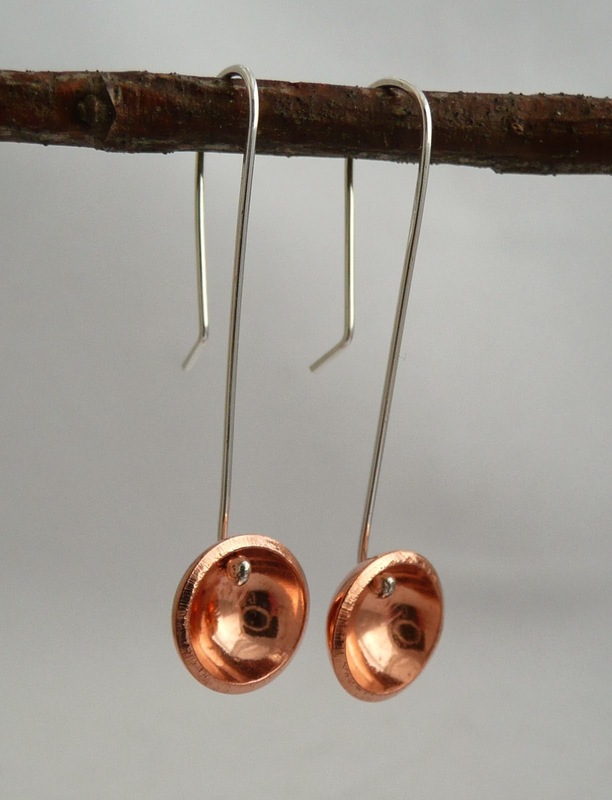 Susan Lee Studios: Earrings for you; soup for someone else! Make it a Happy Valentine's Day! Earrings for you; soup for someone else! Make it a Happy Valentine's Day! The beginning of February is upon us, and with it the approach of Valentine’s Day. There is a belief (true or not) that this most lovey-dovey of holidays was created entirely by-and-for the profit of the greeting card industry. Along with most other holidays, Valentine’s Day in recent years has blossomed into a mega-marketing event, projecting the image of an ideal day of gifts and romantic adventures to top anything that happens throughout the rest of the year between you and your significant other. That’s a lot of pressure! Also on my mind at this time of year as we snuggle up in our houses and retreat from the overload of social engagement that often describes the Christmas season, are the folks that are left out in the cold. Those, that when we stop participating in the socially-conscious giving that is especially highlighted over the holiday season, still experience daily challenge to put a meal on the table. As a producer of such an (often perceived-as) frivolous item like jewellery, this weighs on my mind. And so, all of this preamble leads to this: I’d like to propose to you a chance to give back to the community as you celebrate Valentine’s Day this year. One of my most popular pairs of earrings are pictured here. I designed them with no specific image in mind, but a lot of customers have commented on their resemblance to soup ladles. As jewellery is an oft-given item on Valentine’s Day, I have decided to donate 50% of the sale of each of my “soup ladle” earrings to Street Reach, which operates many services to the public, among which is a soup kitchen. This offer will be valid for earrings purchased in person, (while supplies last) at my booth this weekend during Some Good Market Goes to Town. As usual this event will be held at Canon Wood Hall on the corner of King’s Bridge Road and Military Road, on Feb. 8th from 10am - 4pm. Here’s a chance for us all to feel good about giving at this time of year! On Sunday, Feb. 9th, please drop by Alexis Templeton Studio where I will be participating in her annual Chocolate & Handmade Hearts event which runs from Feb.7th - 14th. Try your hand at forging your own copper heart charm to take home! I will be there on Sunday from 12 - 4pm, but be sure to drop by throughout the weekend to see what other visiting artists are demonstrating. There’s also chocolate and pots as always, to tickle your fancy. One week later on Feb. 15th, the Quidi Vidi Plantation will have a Snow Day Open House, at which I will have a booth. There will be live music, sweet treats, and of course the artists in residence will be there to showcase what they’ve been creating in their studios! A great day out for the whole family. Happy Winter, my friends! Enjoy the wealth of opportunities this season has to offer us! Indeed! We can get entangled making overly complex designs that in the end are only as effective as something simpler might have been.